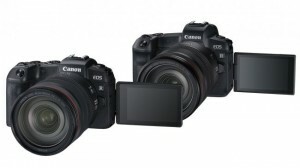 Canon has just released its full-frame mirrorless EOS RP camera for $1299, and it’s the best moment to take a look at how it looks against the Canon EOS R. The two cameras actually have a lot of differences under the hood, in everything from autofocus to sensor characteristics. The EOS R comes out ahead of the EOS RP in most respects – but at $2299, is it worth the $1000 difference in price? What is the biggest – and at the same time the most disturbing – difference? Unfortunately, the battery. The EOS RP gets the LP-E17 (1000 mAh) type, known from the EOS-M line. Its capacity is twice smaller than the LP-E6N’s (1860 mAh), used in the EOS R. Everyone remembers that battery was not the EOS R’s strongest point, so… its weaker version in the EOS RP causes a problem. One will need to have one or two spare batteries, as the specification says about 250 photographs achievable with the battery fully charged. Of course it is possible to arrange and eventually someone will present the battery grip adjusted to the model. But let’s face it: the battery should not be such a disappointment. The RP model has also smaller electronic viewfinder (0,39 of an inch vs 0,5 of an inch; zoom 0,7 vs zoom 0,76) with a slightly smaller resolution – 2 360 000 points vs 3 000 000 points. But the difference is not so visible and the zoom in the EOS RP is just enough. The viewfinder is light, contrastive and doesn’t smudge. Lower resolution is visible when you compare the two models, but we can’t say it writes off working with the viewfinder of the RP. The rotated LCD touchscreen in the RP is – as always in Canon’s products – great: light and reacts immediately. Even though it is, according to its specification, weaker than the one in the R, it’s hard to see the difference with the naked eye. 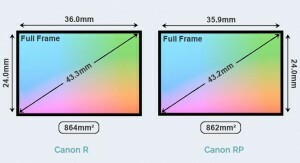 The R had a 3,15-inch screen with 2.1m resolution, while the RP has a 3-inch screen with 1.04m points. It looks like a big difference, but it really shows only with the 100% enlargement. 1.04m is still a standard resolution so we wouldn’t complain about it. The AF system is also weaker than the EOS R’s, but it is still one of the best available on the market. We get 4779 active (up to f/11 value) phase detection points (5655 in the EOS R), covering 88% horizontal frame and 100% vertical frame, sensitive up to -5EV (-6EV in the “R”). Autofocus sharpens the acuteness in only half a second. There is one flaw that shows immediately. We mean the AF point control – while looking through the viewfinder the frame shows with visible delay relative to the movement of a finger on the screen. One may complain about it, especially given the lack of a joystick. But it is possible to get used to it, easier with narrowing the AF point control to one quarter of the screen. 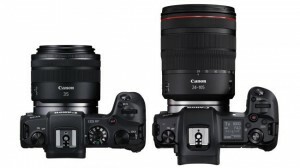 Unfortunately, when it comes to Autofocus, the “R” model wins it without any doubts. 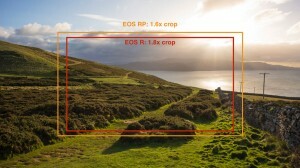 This is where the differences between the EOS RP and the EOS R are most obvious. 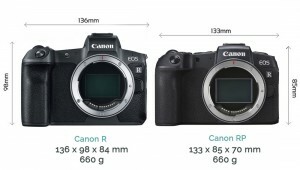 The EOS RP measures 132.5 x 85.0 x 70.0mm and weighs just 485g, body only, while the EOS R comes in at 135.8 x 98.3 x 84.4mm and 660g. The EOS R is not just wider, taller and fatter than the EOS RP, it’s also 175g heavier. But small size and light weight aren’t everything. While the EOS RP is small, many of Canon’s RF lenses are not, and we’re almost sure that the EOS R will feel a better-balanced camera with many of these new lenses. Looking for more crucial differences? We need to look inside and stop for a moment to see the construction. First of all the image sensor has 26 megapixels (EOS R – 30 megapixels), and it is based on the same system as SLR EOS 6D MARK II. Purists may complain about the narrowed down dynamic range, but let’s not overdo it. Professionals for years used EOS 5D MARK III with a very similar sensor and their work was outstanding. It is also worth to mention that the eye tracking system works in the serial mode and in the permanent AF measurement. Maybe it is not as perfect as in the recently showed Sony A6400, but it is just enough for the static portrait photography. The eye tracking system works also in the movie mode. 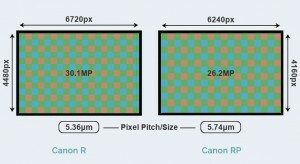 Both cameras have full-frame CMOS sensors, but the EOS R has slightly higher resolution at 30.3 million pixels versus 26.2 million pixels in the EOS RP. It’s a small difference. The EOS R brings other enhancements and features too, but if outright resolution is all you’re interested in, the EOS R’s advantage is fairly marginal. It’s not just the sensor that affects a camera’s performance but its image processor too, and here the playing field is dead level. The EOS RP and the EOS R both have Canon’s latest DIGIC 8 image processor and they both have the company’s DLO (Digital Lens Optimizer) feature for enhancing fine detail in images shot with Canon lenses. With the same processor and similar resolution, it’s no surprise that the EOS RP and the EOS R offer the standard ISO range of 100-40,000, expandable to ISO 50-102,400. We’re quite pleased that Canon has not reduced the maximum ISO of the EOS RP to keep it below the EOS R.
Keeping with the similarities, the EOS RP and the EOS R both use a 384-zone Evaluative metering system, supplemented by Partial, Centre-weighted and Spot metering options. Neither camera supports linking the spot metering point to the AF point, but both offer anti-flicker shooting for more reliable results under artificial lighting. The storage systems are identical. The EOS R has come in for some criticism for having just a single SD/SDHC/SDXC memory card slot, but it is UHS II compatible, so while it doesn’t take the new super-fast XQD/CFexpress cards been introduced by other brands, it should still be quite fast enough – and the EOS RP shares the same UHS II compatibility. The image stabilisation systems are the same too. Neither camera has in-body image stabilisation (though Canon is reported to be working on such a system) so both rely on lens-based IS. The EOS RP does offer Digital IS for movies, which is not mentioned in the EOS R’s specifications, though the EOS R is better adapted to professional video use as we’ll see shortly. Does anything else in the EOS RP bother me? 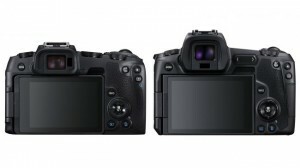 Yes, the location of the slot for an SD card (on the bottom, close to the battery), differences in connectors (USB with charging option, but with 2.0. instead of 3.1. mode) and lack of connectors to attach a battery grip with extra shutters and buttons. We know this is the factor you’ve all been waiting for, so here it is. The “RP” is cheaper by about 40% and that makes a huge difference. The key question is: is the EOS R worth all that extra money? 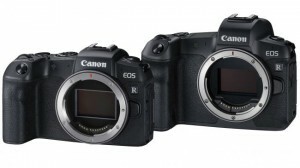 Or do you lose too many important features when you ‘downgrade’ to the much cheaper EOS RP? In my opinion, if you just want to start with the full-frame mirrorless camera market and you’re a beginner or medium dental photographer EOS RP is almost as good as EOS R at a significantly lower price. It will be just enough and even more. Don’t worry! 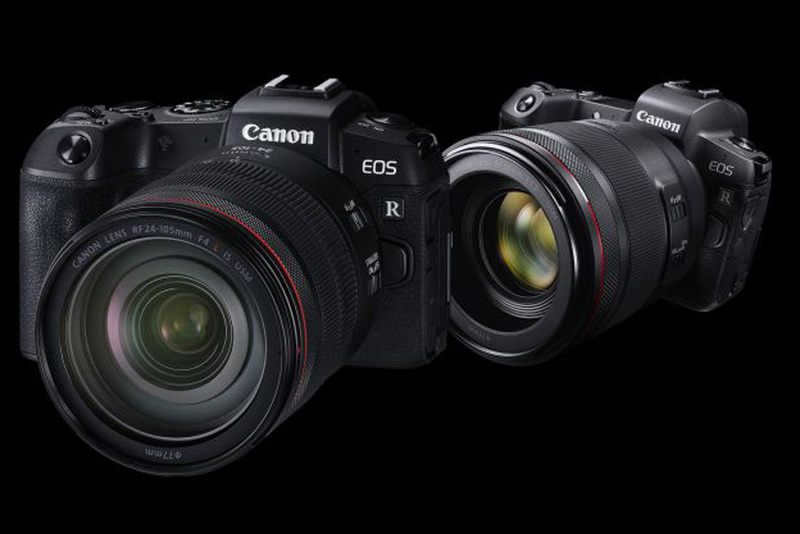 The EOS RP will give you really good results and has many great features to use them. But, if you are an advanced dental photographer and you are planning to use your camera to record the video, then you should definitely consider buying EOS RP. I think the extra performance and features of the EOS R will soon make you forget how much extra you paid for it. At this moment, this is the one of the best available systems. As Steve Jobs would say: “It just works”!